Starting on Monday, November 9, 2015, in partnership with Defy Gravity at My Batter's Box in Prosper, TX, I am starting an introductory pitching development program that borrow's heavily from Driveline Baseball's The Dynamic Pitcher. The 5-week, 10-session program will meet on Mondays and Thursdays in one of three time slots: 5:00 PM, 6:00 PM, or 7:00 PM. No two pitchers are the same. Even two pitchers with similar body types and mechanics likely have different diets, sleep habits, attitudes, experiences, and physical adaptations. They learn in different ways and respond differently to stress. And it doesn't make sense to give the same program to a light-tossing, pain-free pitcher that you would give to a flame-thrower with anterior shoulder pain, does it? One size does not fit all. The program needs to fit the pitcher. I want you to throw without pain. My first step isn't far off from the first step at Ron Wolforth's Texas Baseball Ranch where they start with the pain. No matter what your other limitations are, pain will unquestionably hold you back. A simple physical assessment taken from Kyle Boddy (Driveline Baseball) and a pain survey are the first steps in this individualized approach to training. This will help identify the cause(s) of the pain and help determine our initial focus for reducing and hopefully eliminating your pain. If you are free of pain, you are free to train. I want you to throw harder and stay healthy. Driveline's throwing program is designed to produce efficient mechanics through guided self-discovery -- drills designed to help you teach yourself how to be more efficient! The program isn't just about building efficiency, though; it's also about fitness. 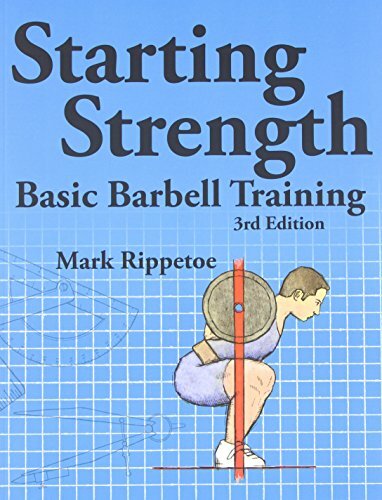 The strength portion of the program will be emphasized for those lacking a good foundation of strength. A good strength program will improve not only strength but also general kinesthetic awareness. You will discover how to feel what your body is doing. The throwing program will use a variety of implements and modalities to train your body and arm to produce healthier velocity. Among these are heavy baseballs, light baseballs, heavy wrist weights, reverse throws, long toss, resistance bands, and more! A full warm-up that focuses on proper muscle activation and a post-workout recovery protocol are vital to the process and included in the program. I want you to think about executing your pitches not your mechanics. It has been 7 1/2 years since I gave my last "pitching lesson", and I do not intend to ever give another. We may discuss mechanics and movement patterns and their pros and cons, but I will not micromanage your mechanics. Mechanics will be learned during the drills in the throwing program. When you are on the mound, your primary focus must be on the pitch you are throwing. If we have done our work properly, your training will handle the rest. If you work hard and commit to the process, you will get results. If you're still reading, that probably means you're either ready to sign up or you have more questions. Either way, the solution is to head over to my contact form and send me an email.